The bull market in the U.S. The opportunity mindset in Europe. Remember that his approach and views are freakishly spot on. Two obvious ones include avoiding the Internet bubble in 1999 and the 2008 crisis. Klarman isn’t just a smooth talker though. He walks the walk. While everyone was freaking out during the 2008 crisis, this is what Klarman did. When Klarman talks, you should listen. So based on the latest annual letter, here are 3 key takeaways you should know and the implications involved. This is related to what Bruce Greenwald means when talking about earnings power value. If a business is unable to generate more cash than what it needs to operate (or reproduction cost), then it’s just earning enough cash to sustain itself. This is a tricky comparison. According to simple metrics, such as return ON capital, the company may be making a killing. But this difference is going to make many investors pour money into overvalued assets and taking on unnecessary risks. 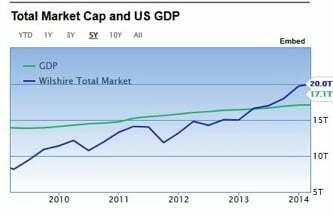 Warren Buffett said that “probably the best single measure of where valuations stand at any given moment” is the Wilshire Total Market Capitalization divided by the US GDP. As of March 12th, the total market cap highlights a significant overvaluation at about 117.2% of the last reported GDP. This implies a 1.6% return a year going forward. Another frequently used tool is the Shiller P/E. Right now, the Shiller PE reflects a value that is 54.5% higher than the historical mean, also implying a return of 1% for next year. So what is the right multiple to play on juiced corporate earnings? The question that Seth Klarman poses is one to reflect upon. As investors look at all the profits taken in recent years, their mouths could be watering. Is the expensive price justified to enter now at the market? Look at the yield spreads between high yield bonds and the Treasury spot curve at the moment. We’re really close to historical low digits, and the spread is 7.25%. Without question, QE has initiated a search for yield that impacted nearly every market available to investors. 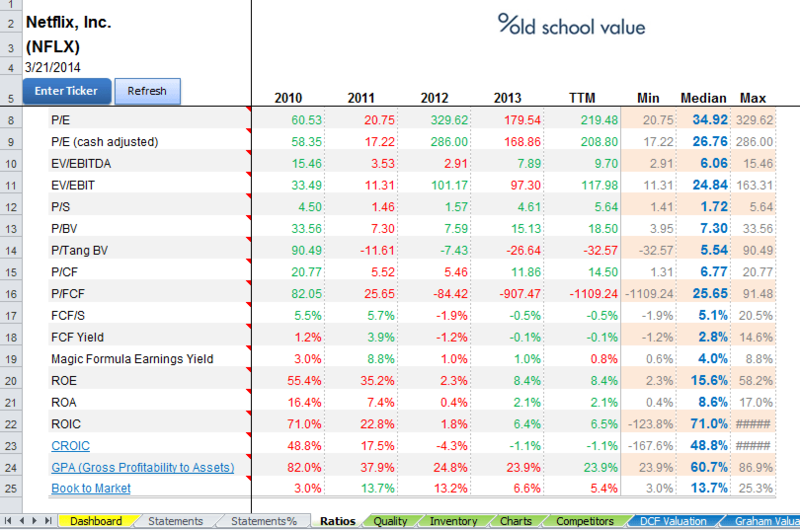 Now look at what this environment is doing to the valuation of actual companies. Check out the valuation numbers for Netflix, Inc. (NASDAQ:NFLX) and Tesla Motors Inc (NASDAQ:TSLA) which is only going to exemplify Klarman’s example. I’ll come up with a raw estimate of its intrinsic value. Numbers are from the OSV Stock Analyzer Software. The numbers I’m about to show you are raw numbers without adjustments for predicting “future” growth.Even slight adjustments don’t help these two companies to justify their current price. Check the numbers above again. Klarman isn’t exaggerating. The old adage “the trend is your friend until it isn’t”, is closer than any given point in the past 5 years. As a value investor, take the market’s optimism with a grain of salt. Use common sense, patience and diligence to protect your capital while achieving satisfactory returns. We must strive to understand the implications of what’s going on around us. When others are recklessly confident and buying aggressively, we should be highly cautious; when others are frightened into action or panic selling, we should become aggressive. What about you? Where are we at now? This post was first published at old school value. You can read the original blog post here 3 Key Takeaways from Seth Klarman’s 2013 Letter.